Well it is finally the end of January! This 30 day moneymaking bootcamp has come to an end. I have really enjoyed being able to share some of my wisdom with other people. 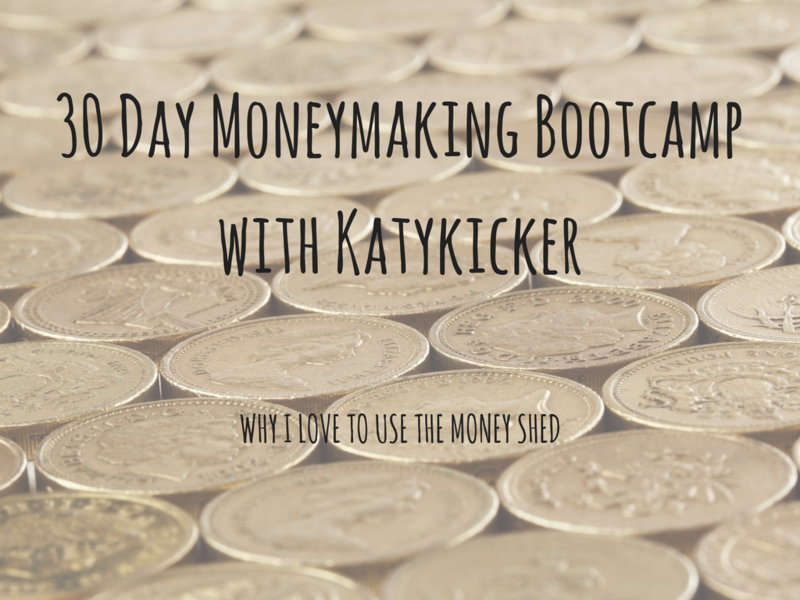 I love being an online moneymaker and it has had a huge impact on my family life. As well as being able to give up my job in March 2013 I have been able to stay home full-time and earn a nice wage at the same time. My family have been able to enjoy nice holidays, get a new car and generally just be more financially sound. 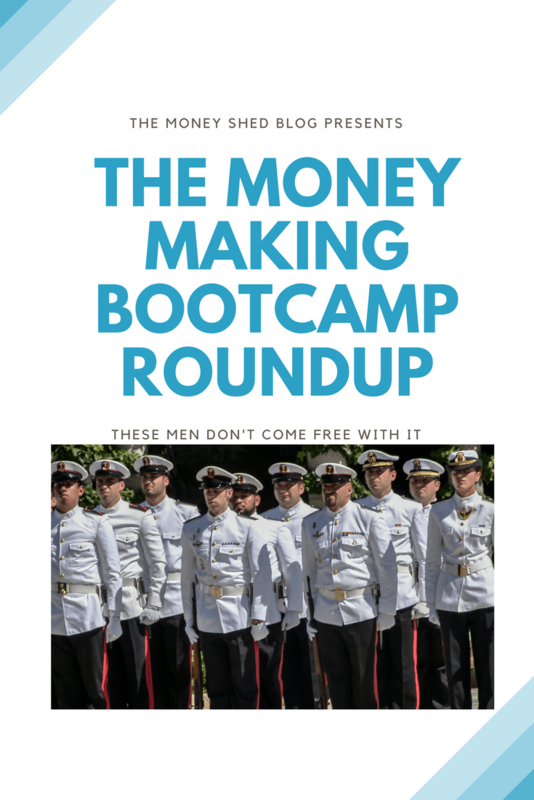 As the 30 day moneymaking bootcamp is now finished I want to recap briefly on all of the posts that been included. Hopefully this will allow people to come back to this post in the future and see what we discussed throughout the month. I’ve been so pleased with the response to this bootcamp and it seems like people are genuinely going to be earning more money for 2017. I hope that the year is kind to you, whatever you do to make money online, and I look forward to chatting with many of you over on The Money Shed forum. Earn money from affiliate marketing – WITHOUT A BLOG! Focus on your finances with focus groups! Clear out the clutter and claw in the cash! Keep yourself motivated with Katykicker’s top tips! Paid surveys – the best of the rest! 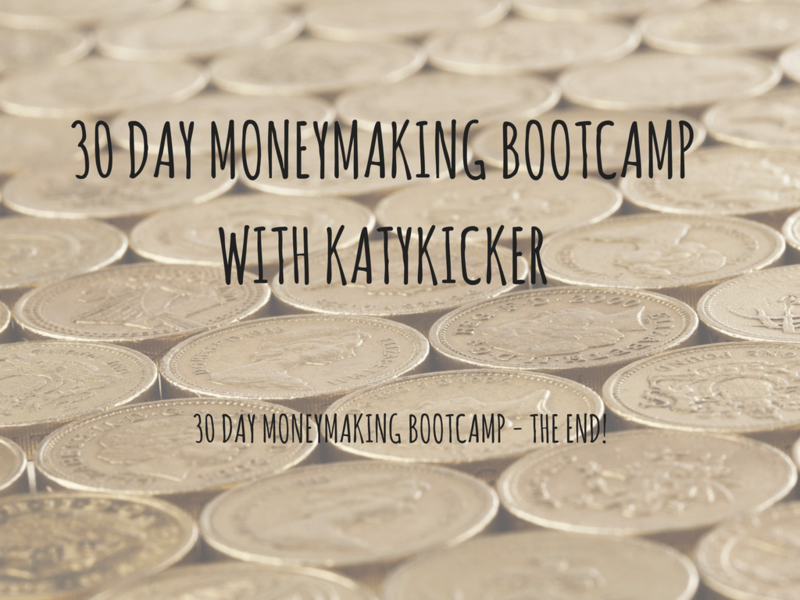 I hope that you have found the 30 day moneymaking bootcamp useful. I have really enjoyed exploring some of these methods to make money again and have been able to boost my income once more. I’m so happy to be able to make a wage from online moneymaking and I hope that you can do the same too! Best of luck! Why no pin this image for later?